Knysna Forest Marathon: Tough, Yet Beautiful! Described as tough yet beautiful, the Momentum Knysna Forest Marathon will take place on Saturday 15 July as part of the exciting Pick n Pay Knysna Oyster Festival from 7 to 16 July 2017. Since the event’s half marathon entries are sold out, this is your opportunity to take on the full marathon! 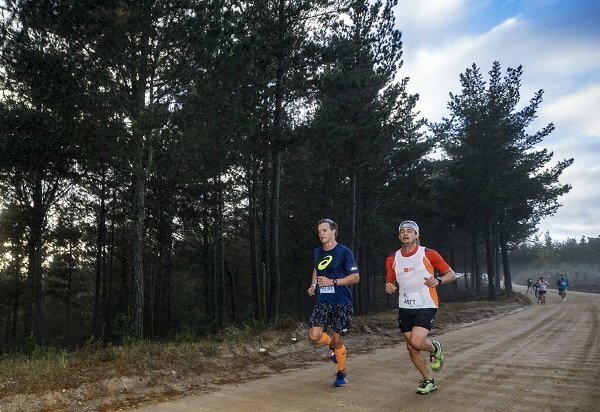 Known as one of South Africa’s most sought-after running events, the Momentum Knysna Forest Marathon offers exceptional highlights found in no other race anywhere in the world with most of the run taking place deep in the forest. Whether you’re competing in the half (21km) or signing up for the full (42km) marathon, runners can expect breathtaking views over the Knysna lagoon into The Knysna Heads, the perfect inspiration towards the finish. All runners share rides into the forest provided by local taxis to the race start where runners arriving early are also given hot drinks and snacks next to warming fires. Participants are encouraged to arrive dressed warmly, due to the early start of the race when temperatures in the forest are very low. Visitors can also look forward to more than 100 activities during the ten-days, with a mixture of sporting and lifestyle events and is something you don’t want to miss out on! If you still don’t have a charity entry don’t fret, there are still half and full marathon entries available to purchase. A portion of the charity entries are donated to the Knysna Marathon Club’s designated charities – this year, these include the Vermont Old Age Home, Loerihof Old Age Home and Knysna Epilepsy. The proceeds from the sale of the charity tickets get divided between the charities with a highly anticipated charity handover. Charity entries will include a R500 donation to the designated event charities. Marathon substitutions and charity entries can be secured online at www.knysnamarathonclub.com.